The medical journal The Lancet has published an insightful summery of current legal challenges to India’s patent law. The authors argue that “pending cases against India’s patent laws threaten public health and misinterpret international intellectual property agreements”. This is also our view. 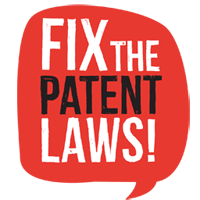 The Fix the Patent Laws campaign is advocating for law reform in South Africa that would make our patent law more like that of India. As the article in The Lancet explains, India’s use of compulsory licenses is in line with international patent law. South Africa’s Patents Act does technically allow for compulsory licenses, but only on restrictive grounds and through cumbersome procedures. 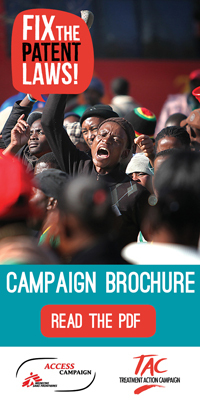 As a result, South Africa has never granted a compulsory license on a pharmaceutical medicine – even though the cost of medicines has and continues to be a key barrier to access. As the Indian case indicates, and the article in The Lancet affirms, South Africa is well within its rights to institute more progressive compulsory license provisions in our national patent law. The article also strongly argues that Section 3.D. of India’s patents Act is compliant with international agreements. Section 3.D. requires that new formulations of existing medicines should only be granted patetns if it can be proved that the new formulation offers a therapeutic benefit over the previous formulation. South Africa’s Patents Act does not have such a requirement to show improved therapeutic efficacy – which is one of the reasons why the country grants so many weak patents.